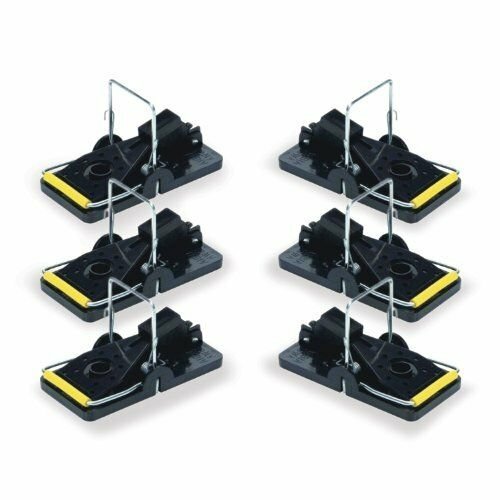 The Snap E Rat Trap comes in packs of 6 allowing you to distribute the traps around the house to catch the problem rodents quickly. The quick response time that these traps use means there is no escape for the rodent once it’s been caught. There is a vertical bar that like the traditional wooden traps have except these traps have half the distance to travel so the response is quicker therefore leaving the mouse with next to no time to retrieve the bait. There is also an extra-large paddle and strike bar that catches the rodents from the front the sides and the back, leaving the rodent no way to escape. The Big Snap E does not allow any stains or odors like the old fashioned wooden traps; they can be reused for years so you get maximum usage for your money. The simple and sanitary traps are safe for both the user and the animal trapped inside. 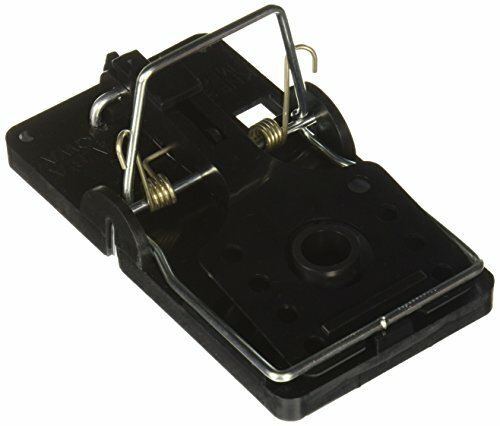 This 4 Trapper T-Rex Rat Snap Traps Rodent Control Trap Trex Bell-1043 is a state of the art mechanical trap that gives a superior capture of your rat problems. A patented interlocking teeth system makes the rat trying to escape absolutely impossible. So you do not need to worry about losing the rodent once it has been trapped it stays trapped. The T-Rex gives you the perfect combination of a trigger sensitive and trap velocity, so the speed of the trap and the responsiveness ensure the capture is successful every time without fail. 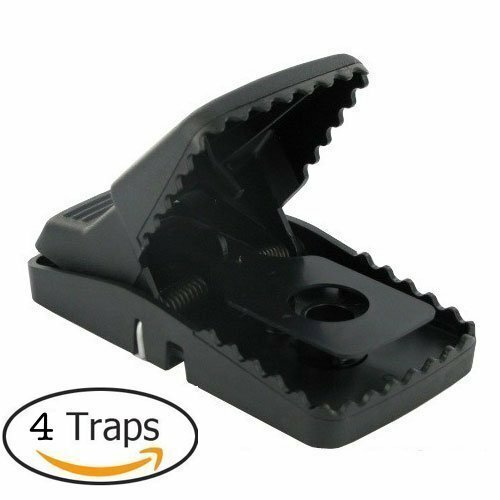 The trap is easy to set up and safe to use, much more efficient than traditional snap traps. 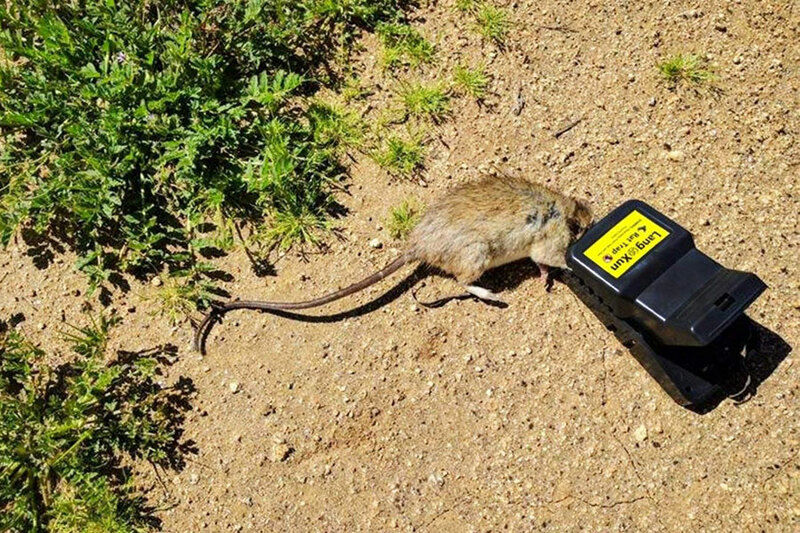 The T-Rex can also be placed directly in a Protecta Rat Bait Station or even tied to any pipes or beams you have around the house, these are typical pathways that rats and mice will use to get around, and will not suspect a trap to be attached to. The bait cup in the centre of the trigger pedal holds onto the bait easily enticing your pest to the bait.